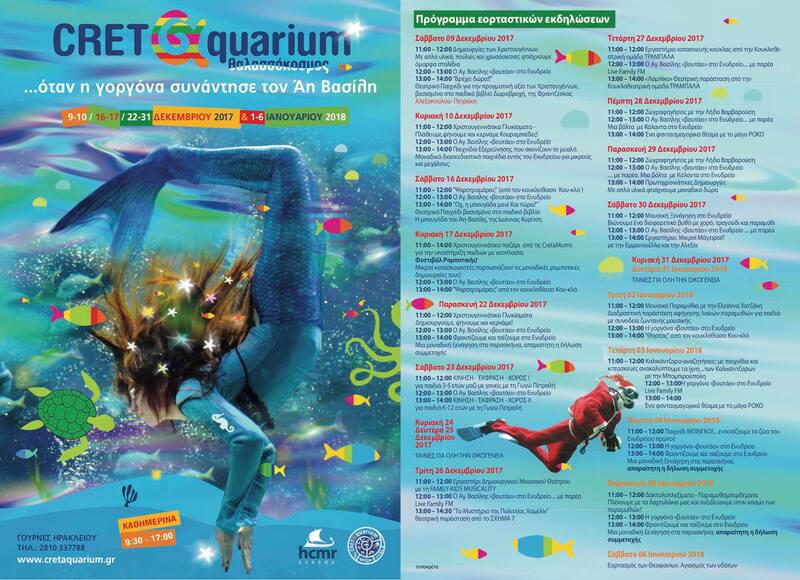 Looking forward to welcoming you @ Cretaquarium! 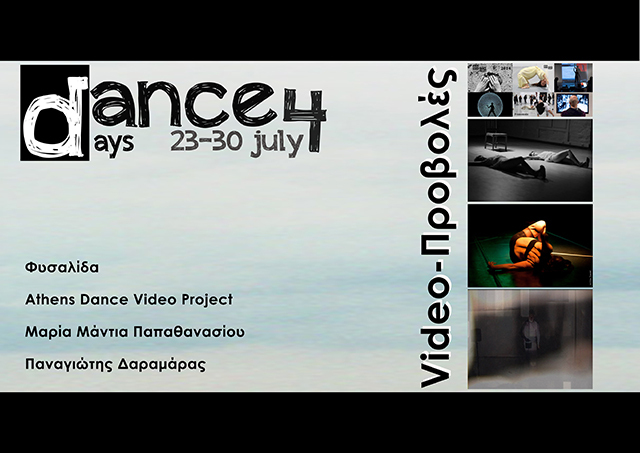 Participation of the dance video "TRACE" at the International Video & Dance Festival “Video dança em foco” in Rio de Janeiro, Brazil, 4-16 August, 2015. 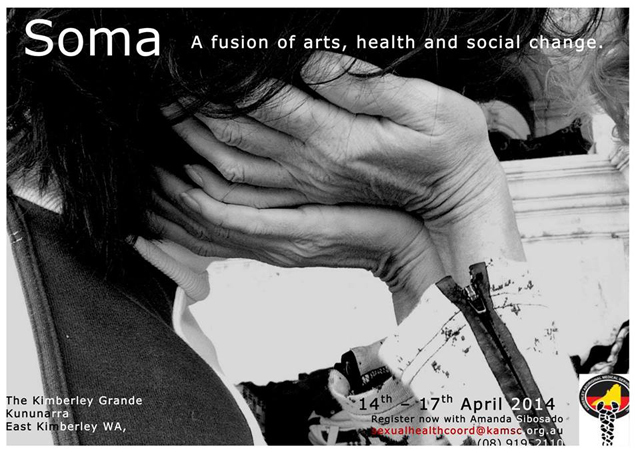 Artists Anne Sorenson and Georgia Petrali in partnership with Kimberley Aboriginal Medical Services Council will deliver contemporary workshops in using arts for social change. 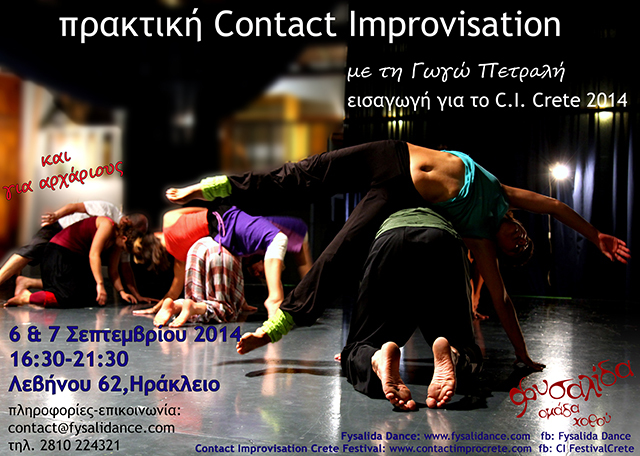 A regionally based training for Artists and Community Health workers wanting to collaborate to make change. 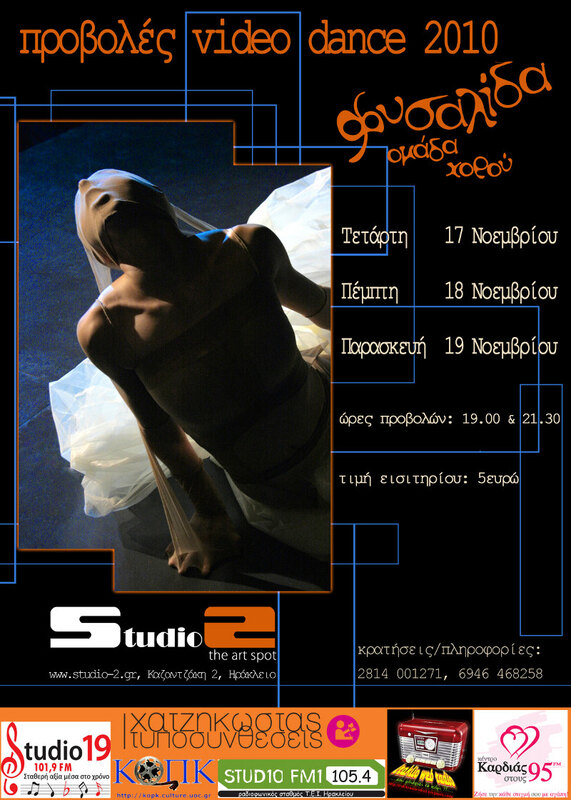 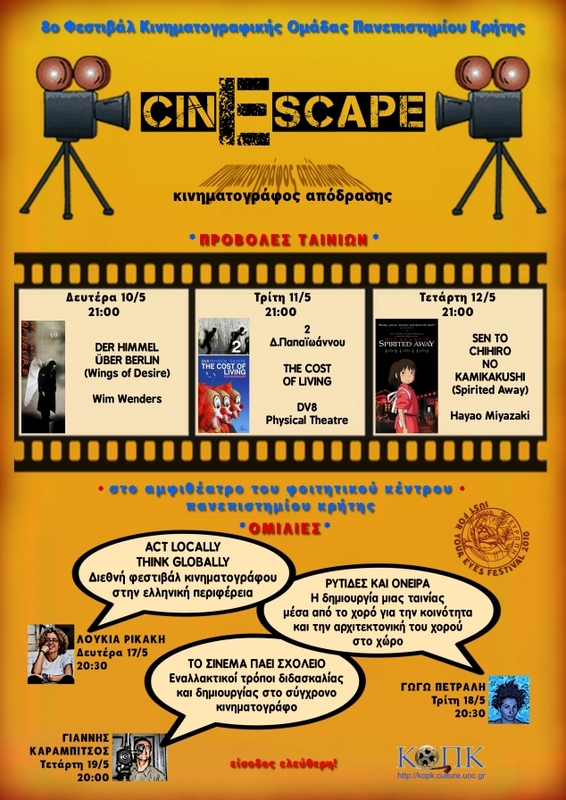 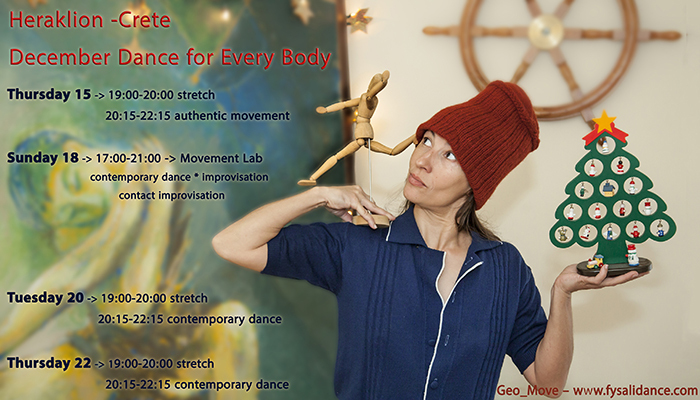 screenings of Fysalida's dance art videos and of the dance film "wrinkles and dreams"
Enjoy free stretching offered by Fysalida Dance, Loggia, Heraklion, Crete, 2 December 2012, at 10:30 a.m. 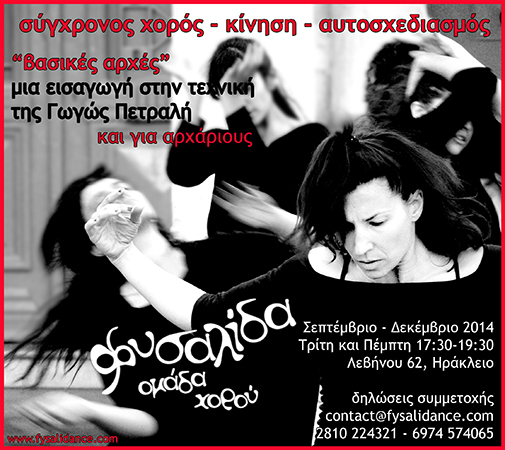 Enjoy free stretching offered by Fysalida Dance, Georgiadis park, Heraklion, Crete, 16 September 2012, at 7:00 p.m. 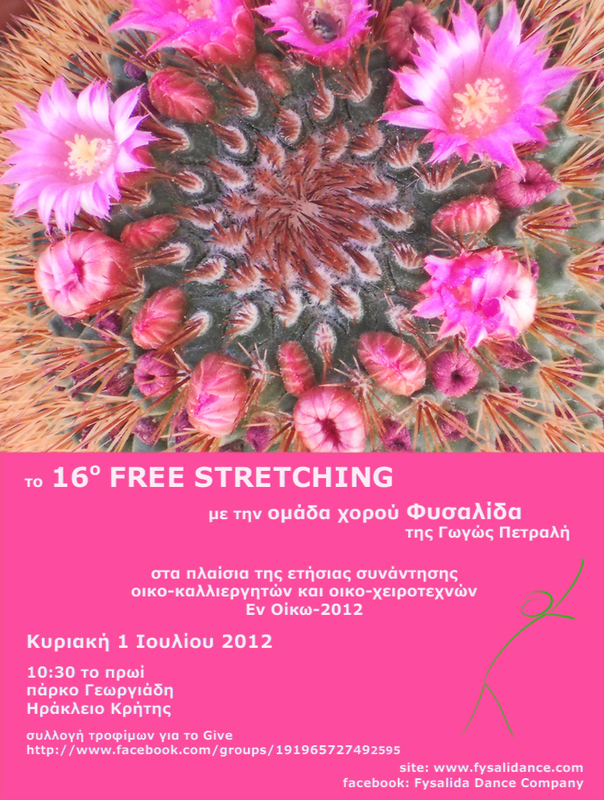 Enjoy free stretching offered by Fysalida Dance, Georgiadis park, Heraklion, Crete, 1 July 2012, at 10:30 a.m. 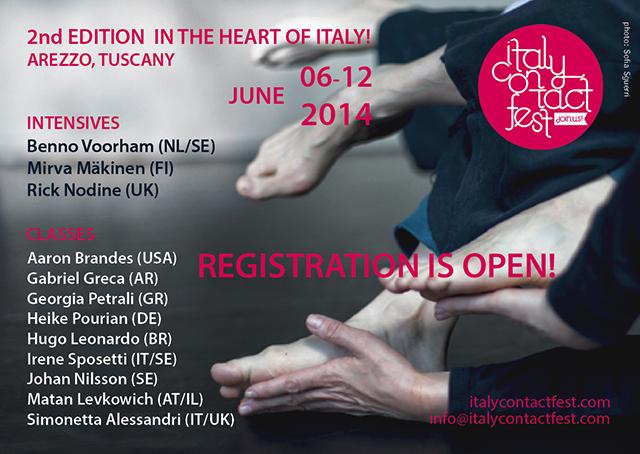 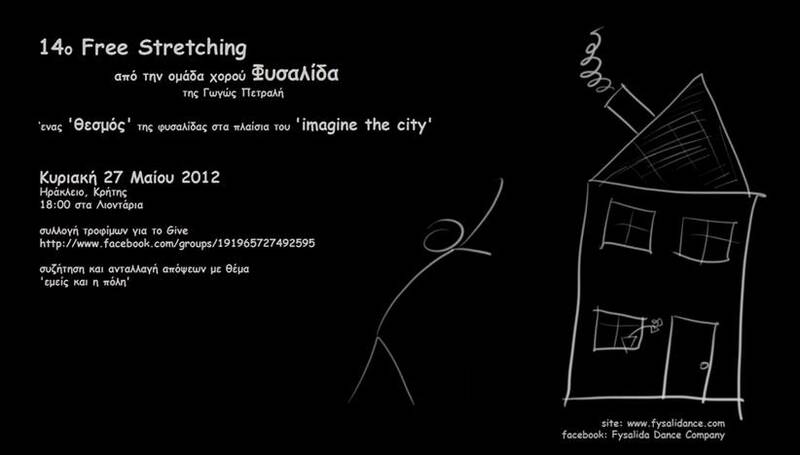 Enjoy free stretching offered by Fysalida Dance, Koule, Heraklion, Crete, 17 June 2012, at 7:30 p.m. 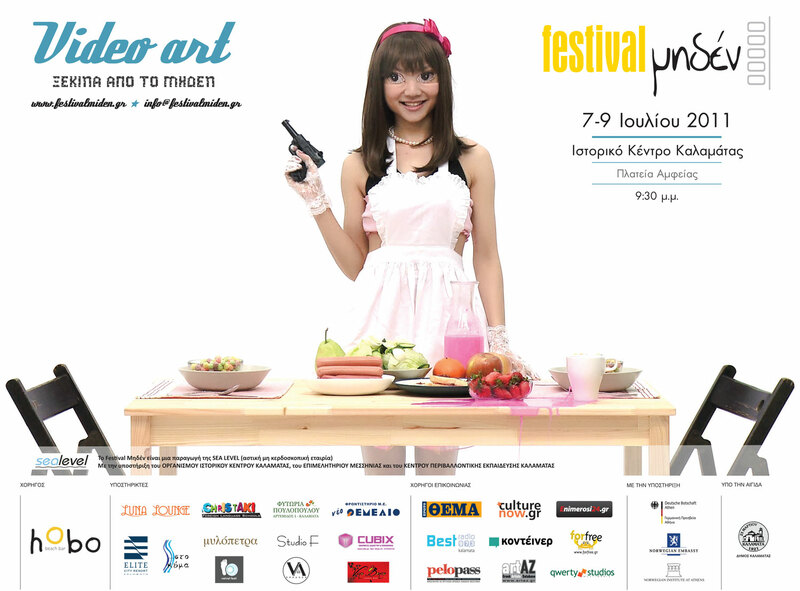 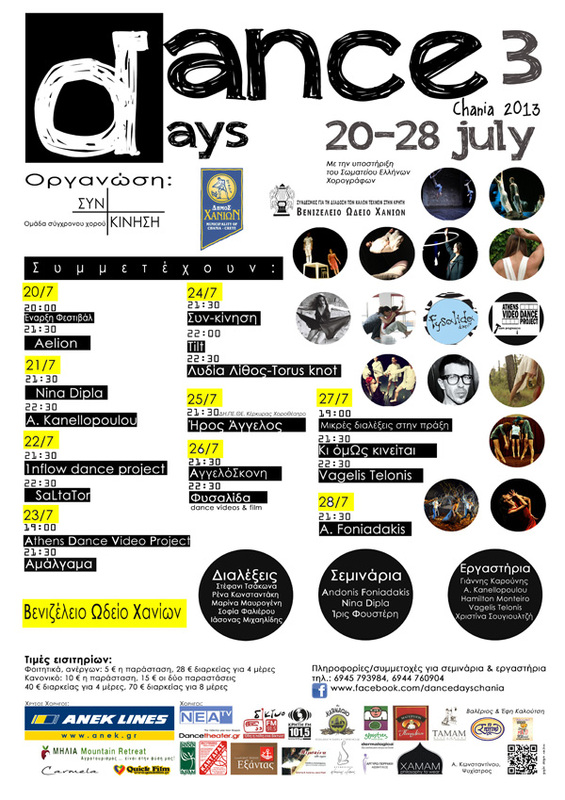 Enjoy free stretching offered by Fysalida Dance, Lions Square, Heraklion, Crete, 27 May 2012, at 6:00 p.m.
> Enjoy free stretching offered by Fysalida Dance, open-air theatre by the lake, Agios Nikolaos, Crete, 19 May 2012, at 7:00 p.m. 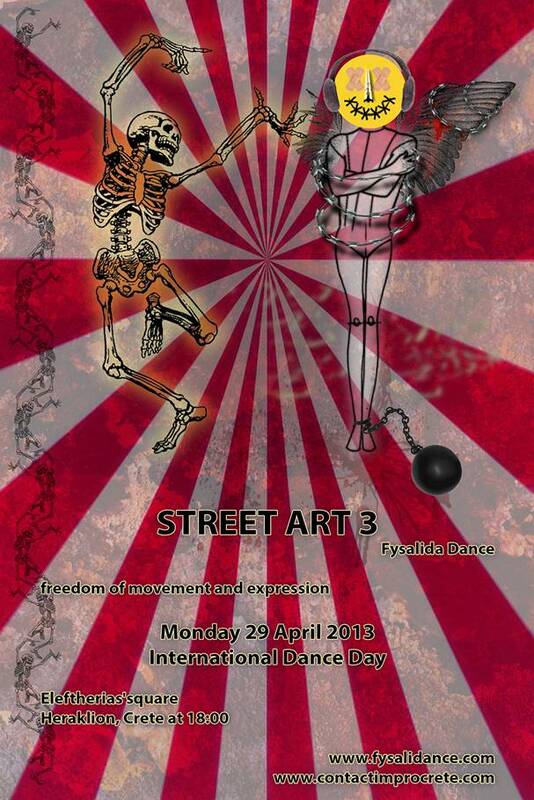 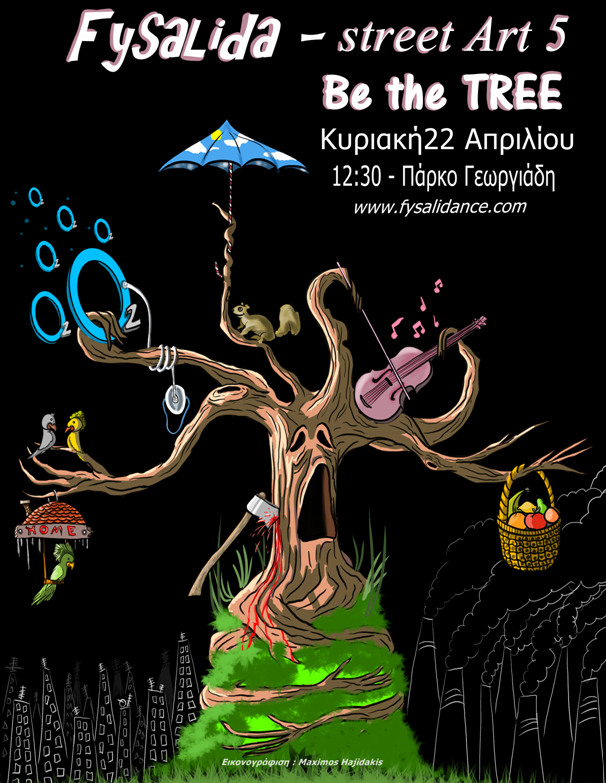 Enjoy free stretching offered by Fysalida Dance, Georgiadis Park, Heraklion, Crete, 29 April 2012, at 10:30 a.m.
Street Art by Fysalida Dance! 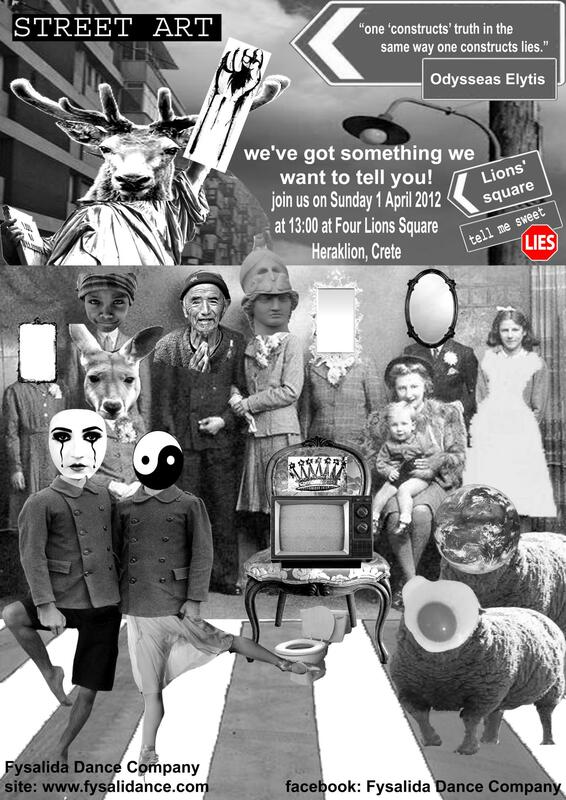 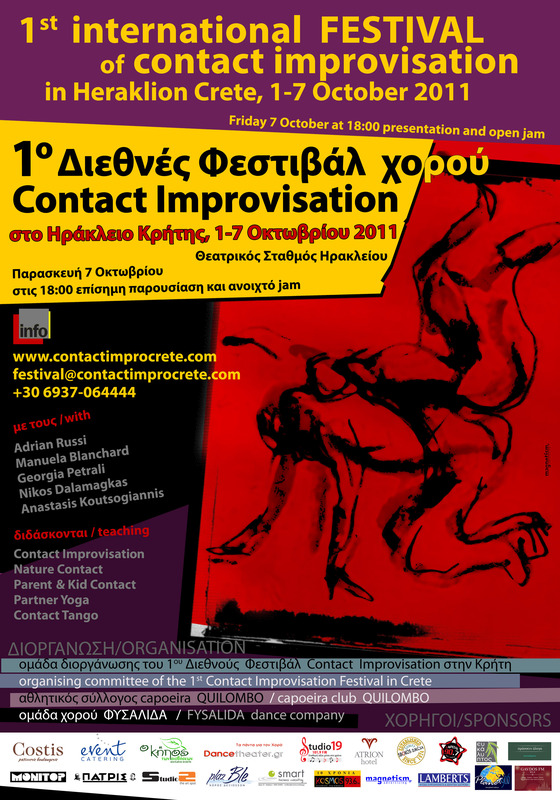 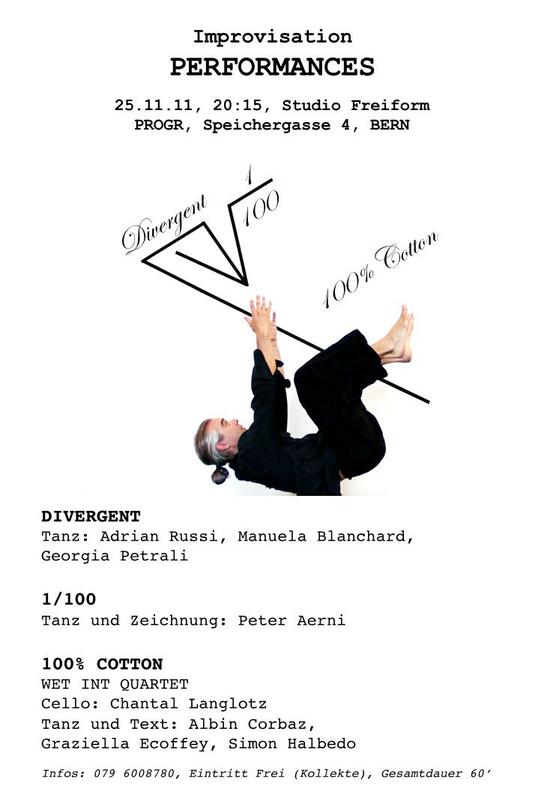 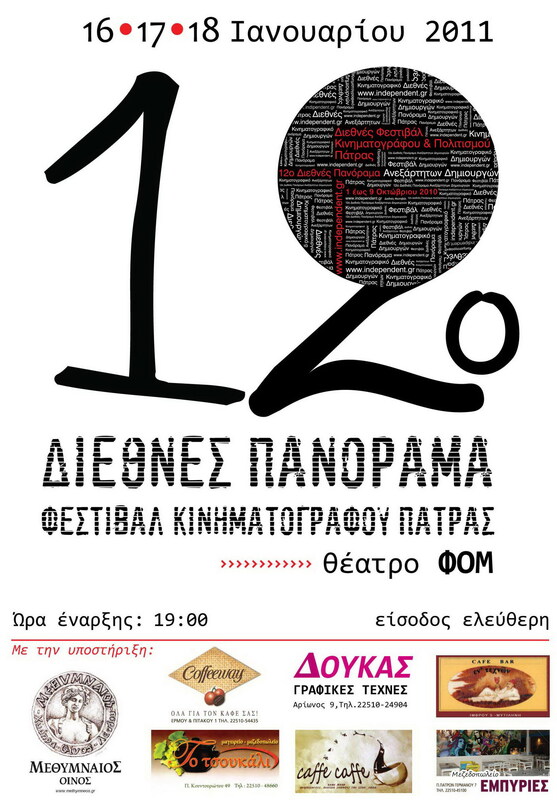 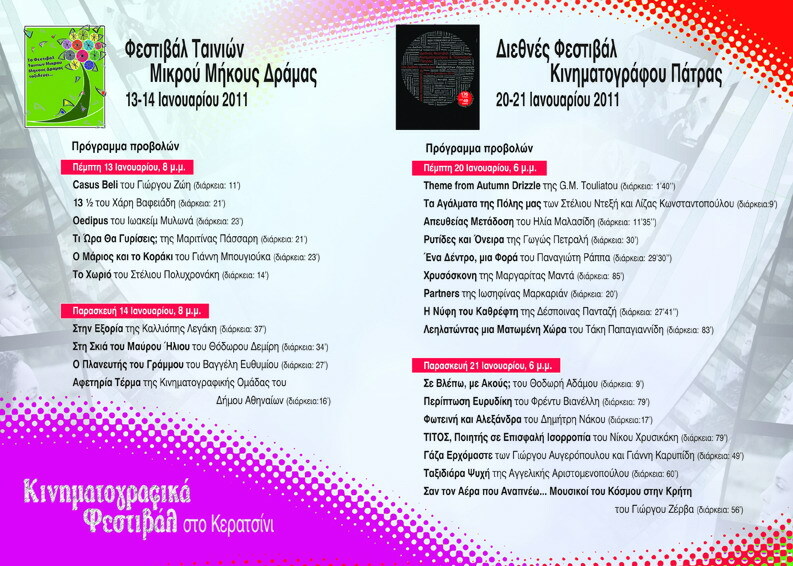 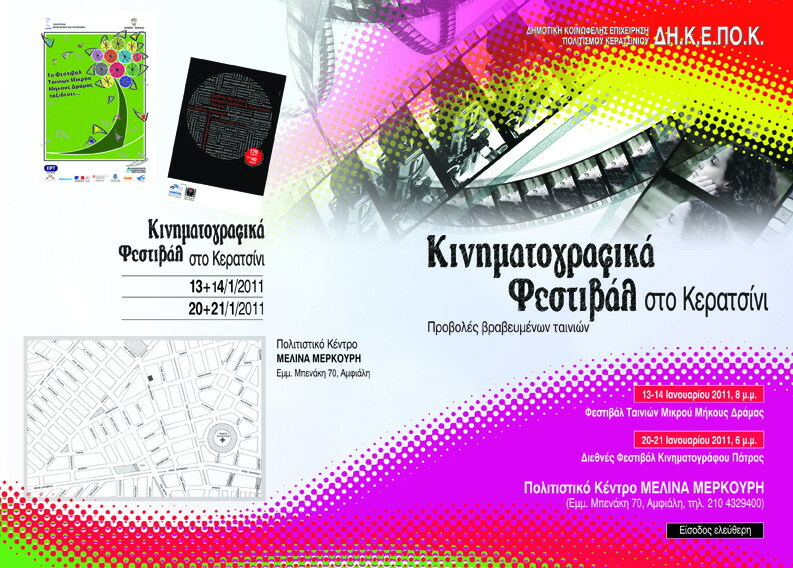 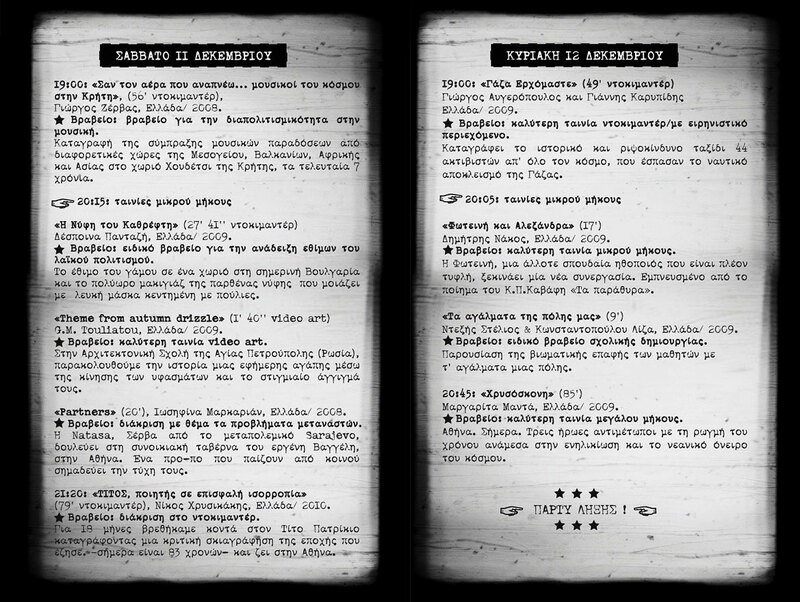 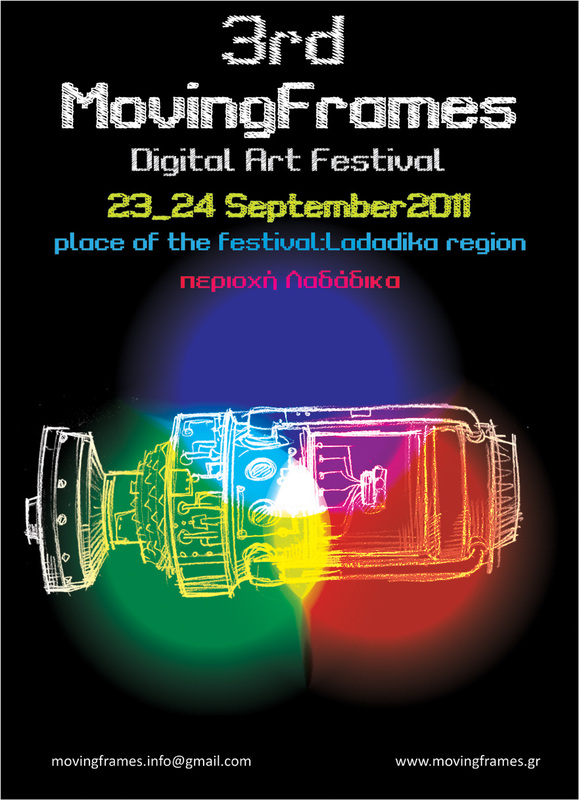 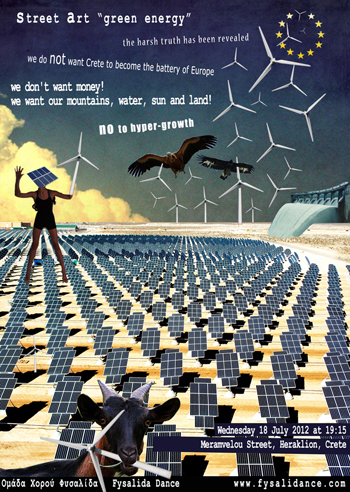 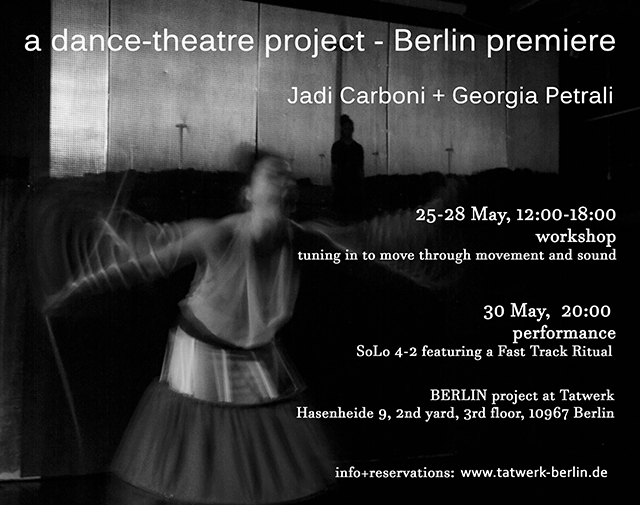 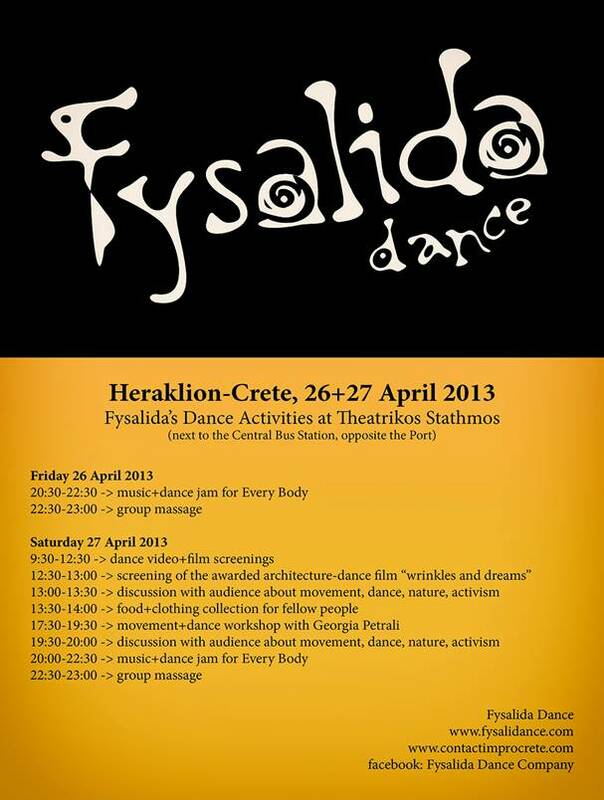 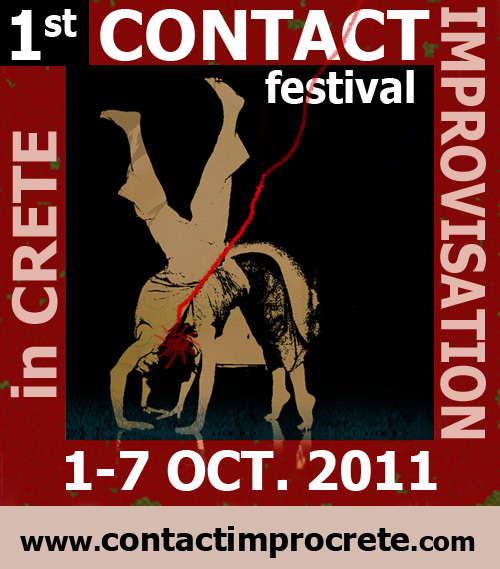 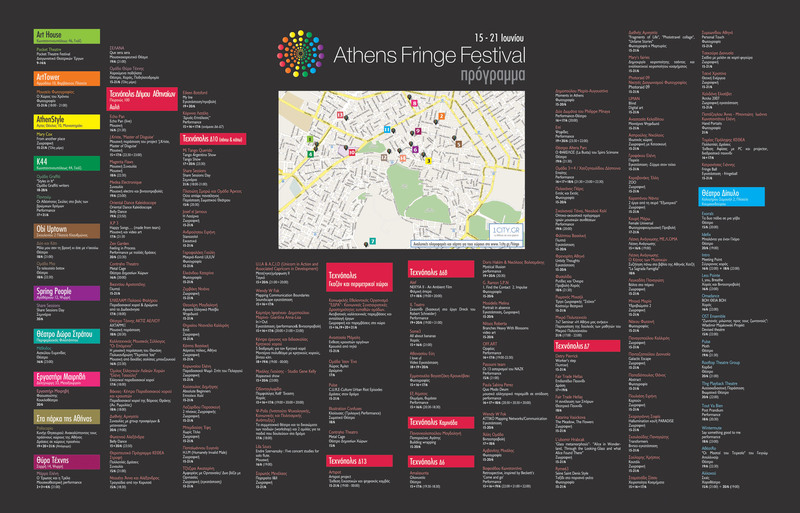 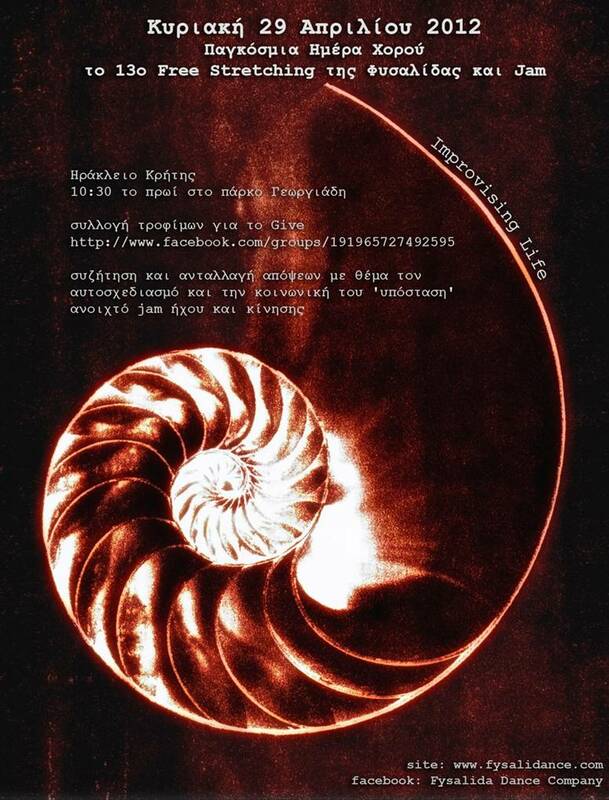 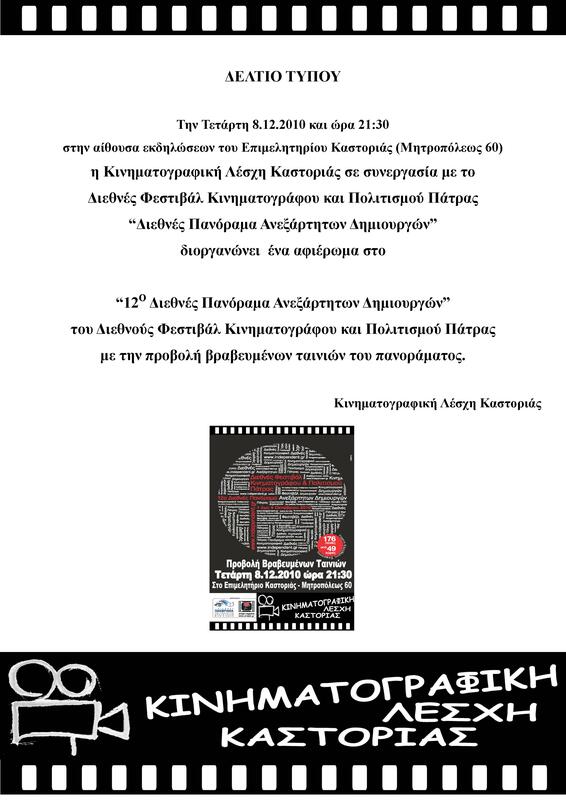 Sunday 1st of April 2012, at Four Lions Square, Heraklion, Crete at 1:00 p.m.
'Free' night of Contact Improvisation & Jam, Theatrical Stage near port, Heraklion, Crete, Monday 19 March 2012, at 6:00 p.m. 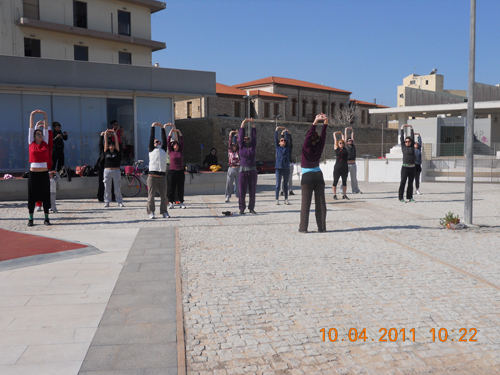 Enjoy free stretching offered by Fysalida Dance, Agias Aikaterinis square, Heraklion, Crete, 18 March 2012, at 10:30 a.m. 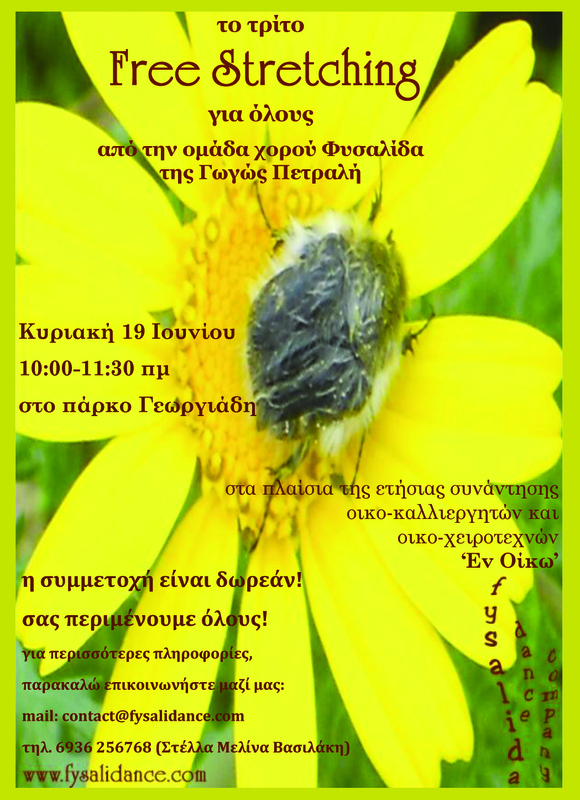 Enjoy free stretching offered by Fysalida Dance, Loggia, Heraklion, Crete, 12 February 2012, at 10:30 a.m. 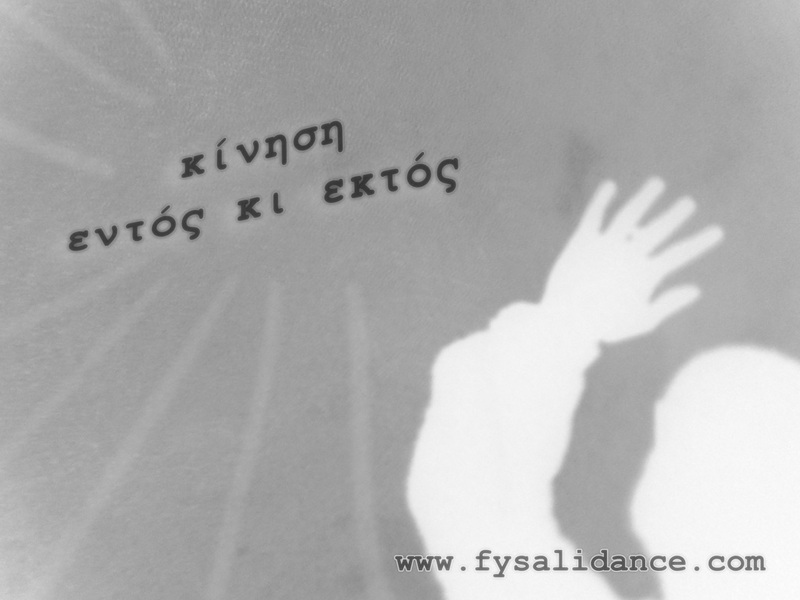 Enjoy free stretching offered by Fysalida Dance, Loggia, Heraklion, Crete, 22 January 2012, at 10:30 a.m. 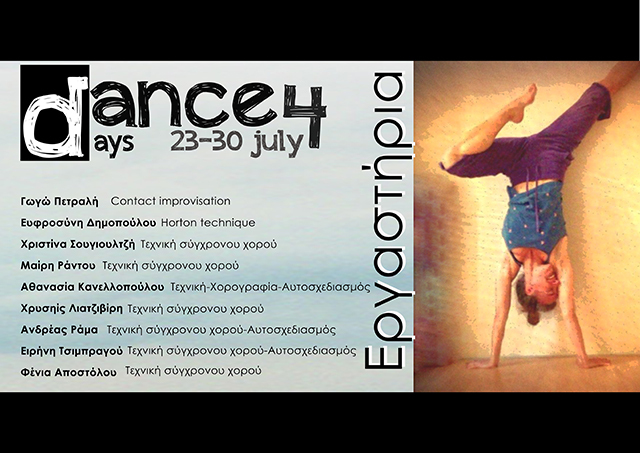 Enjoy free stretching offered by Fysalida Dance, Agiou Titou Square (25th August Street), Heraklion, Crete, 18 December 2011, at 10:30 a.m. 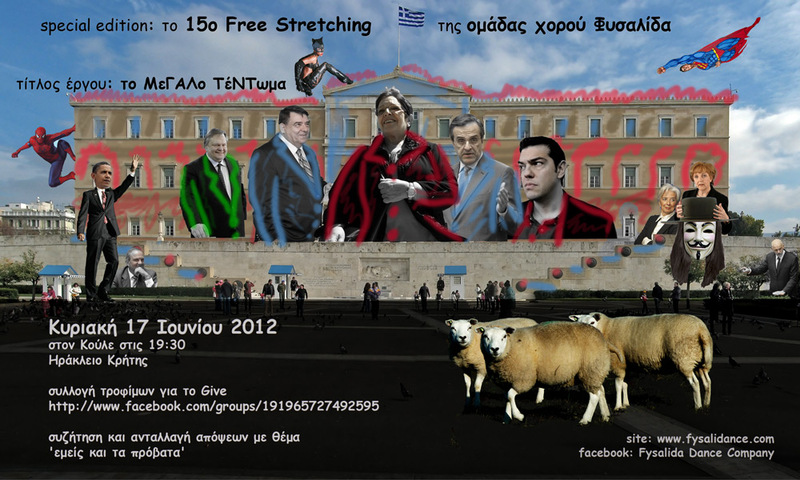 Enjoy free stretching offered by Fysalida Dance, Loggia, Heraklion, Crete, 20 November 2011, at 10:30 a.m. 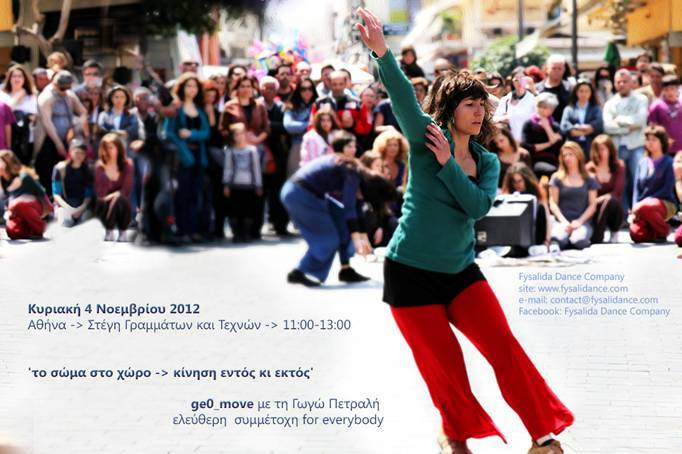 Enjoy free stretching offered by Fysalida Dance, Eleftherias Square, Heraklion, Crete, 23 October 2011 at 10:00 a.m. 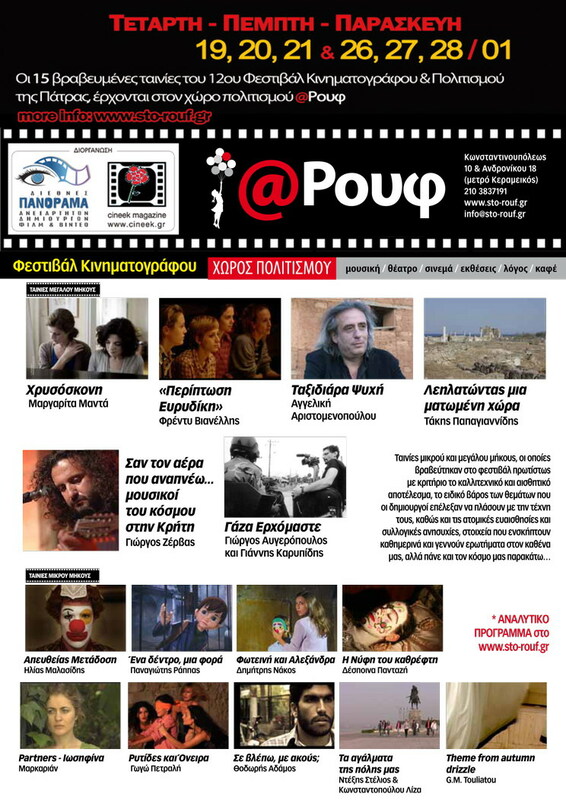 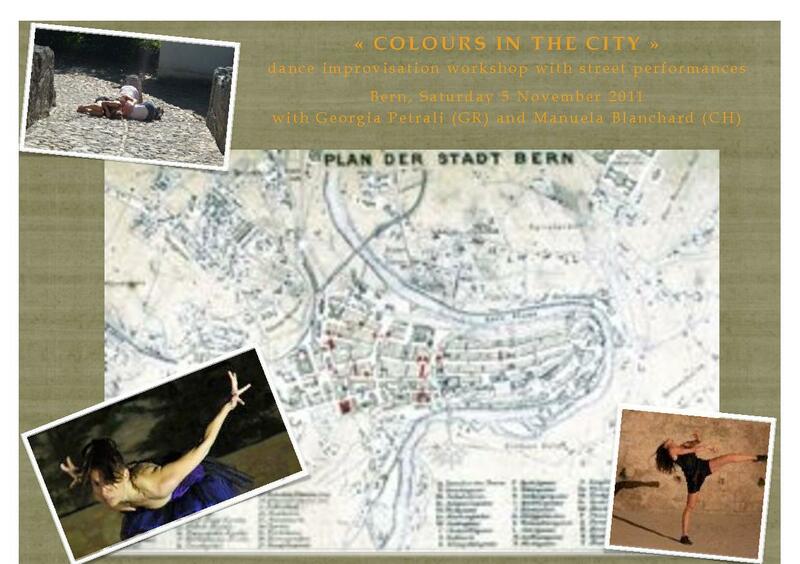 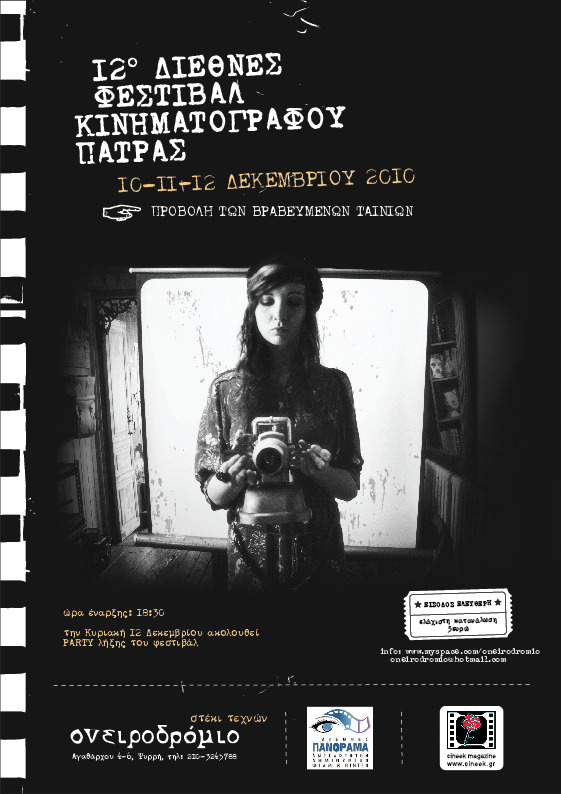 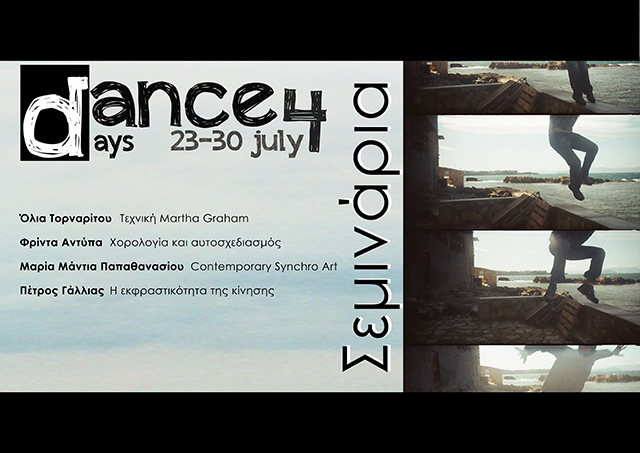 Contemporary Dance Performance and Dance Video Projections in Agios Nikolaos with Georgia Petrali (dance) and Emmanouel Sgouridis (music), Saturday 17 September at 21:00! 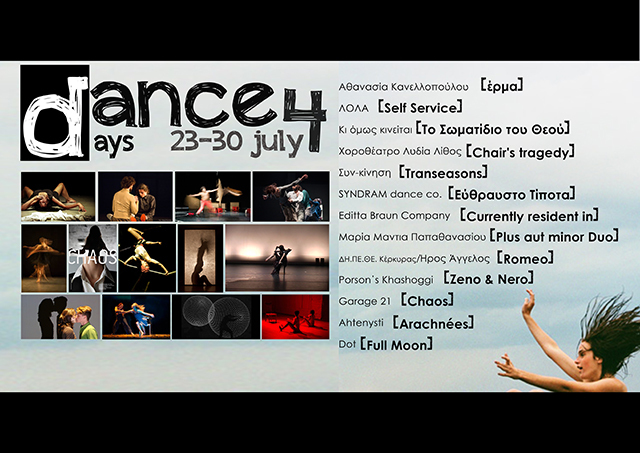 Sunny Tango Vacations from Thursday 30th of June until Sunday 3rd of July 2011, at Damnoni Bay, Plakias, Crete island, Greece! 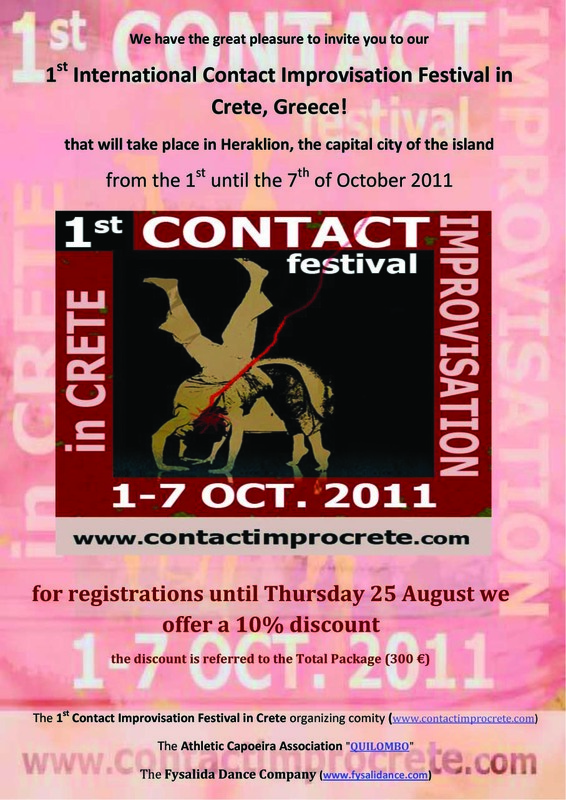 Explore the sheer beauty of movement in Heraklion's central parks and squares! 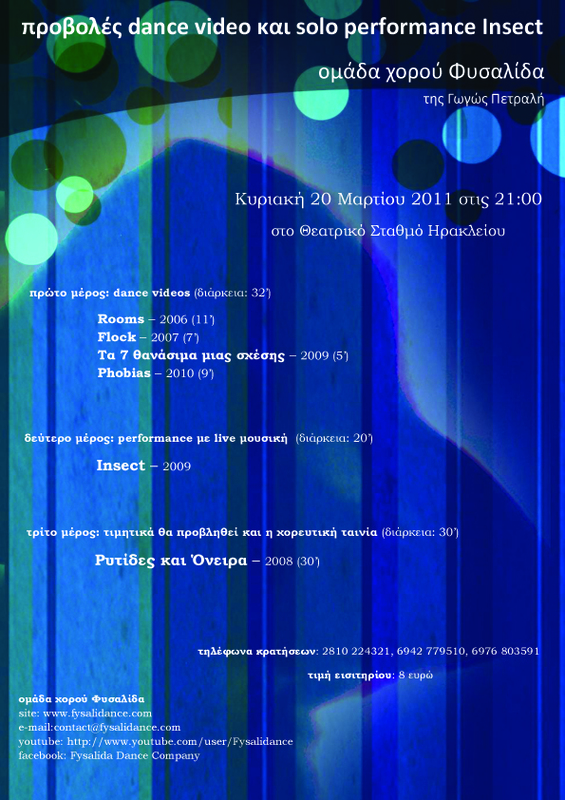 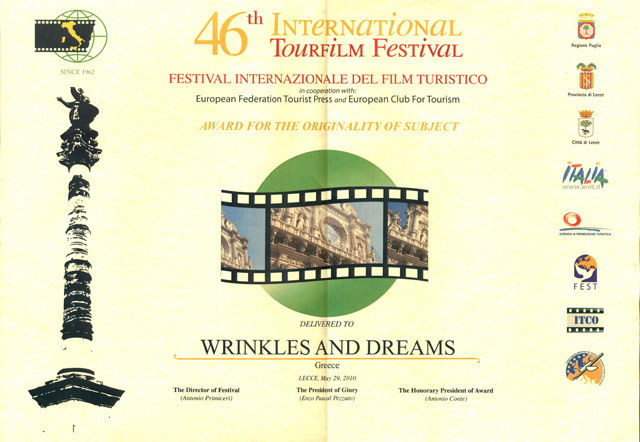 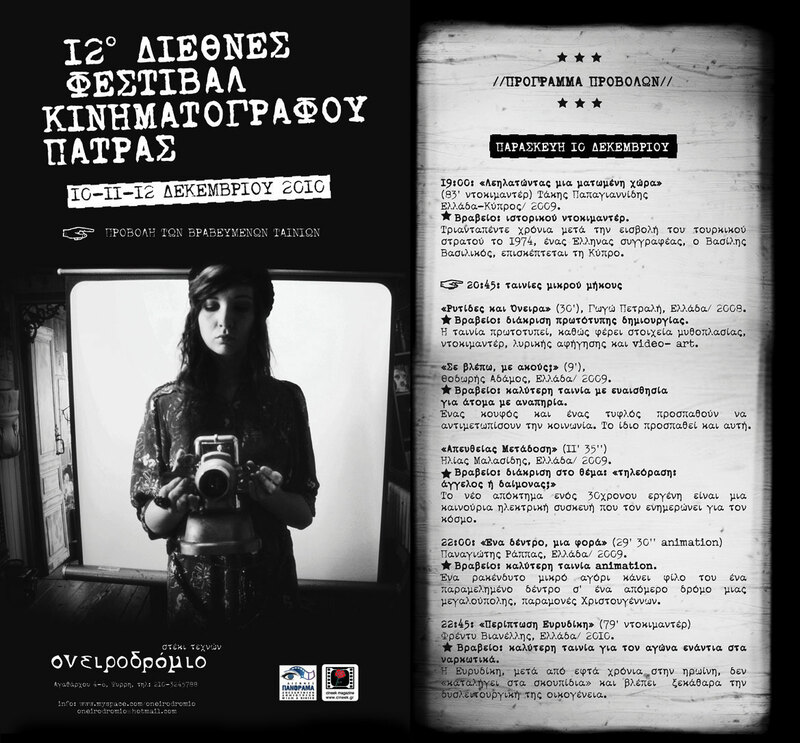 Tuesday, 18 May at 20:30: screening of the film "Wrinkles and Dreams" - speech: "The creation of a film through the community dance and the architecture of the space"
Articles - Interviews about the film "Wrinkles and Dreams" from the "Thessaloniki International Film Festival - Digital Wave 04"
Articles - Interviews about the film "Wrinkles and Dreams" from the "Drama Short Film Festival, Digi 2009"
Booklet of the film "Wrinkles and Dreams"